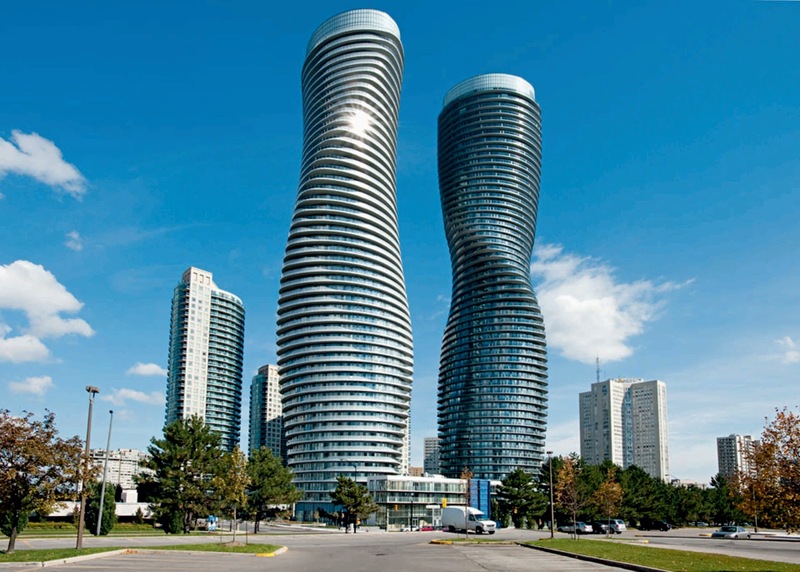 The Absolute Towers, two residential towers in Mississauga, Canada has been judged the best new high-rise building in the America’s by the Council on Tall Buildings and Urban Habitat (CTBUH). 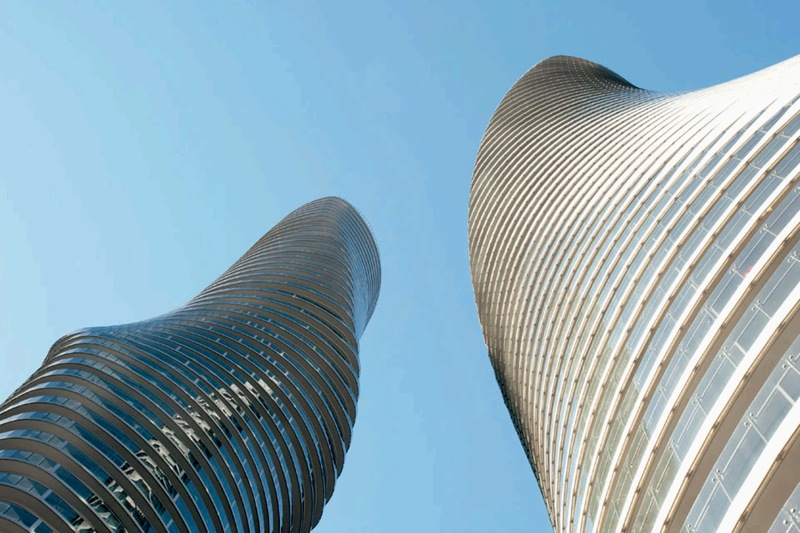 As the first building by MAD architects to be completed in North America, the 56 and 50 storey twin towers form an organic punctuation in the landscape between the concrete boxed high-rises of downtown of Toronto and the surrounding low-density suburbs. 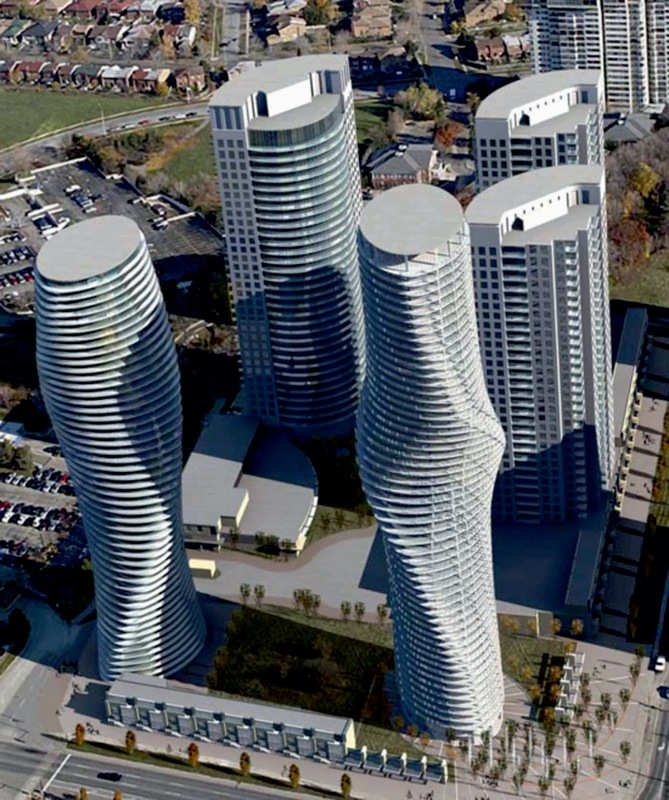 Fondly dubbed the Marilyn Monroe towers by local residents, the Absolute Towers parallel the twisting fluidity of natural lines found in nature. MAD’s design was the favourite by jury and general public during an international competition in 2006, and won continuous support from local municipality during the whole process. 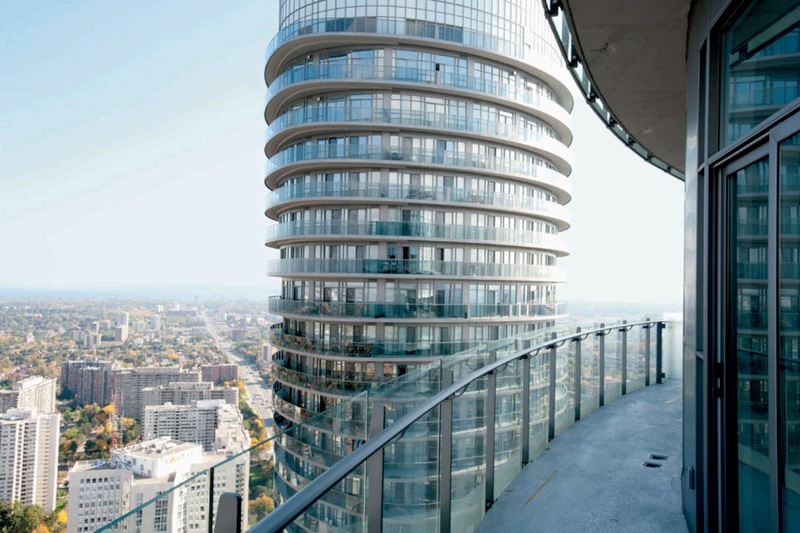 The tower gives each resident a unique experience with continuous balconies that widens viewing angles and promotes a community on a personal level. 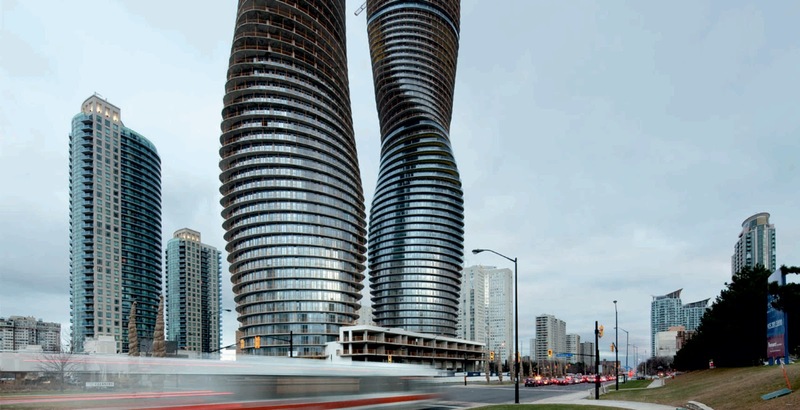 Alongside the needs for the residents, MAD hopes the towers will add a sense of belonging in the growing city of Mississauga. 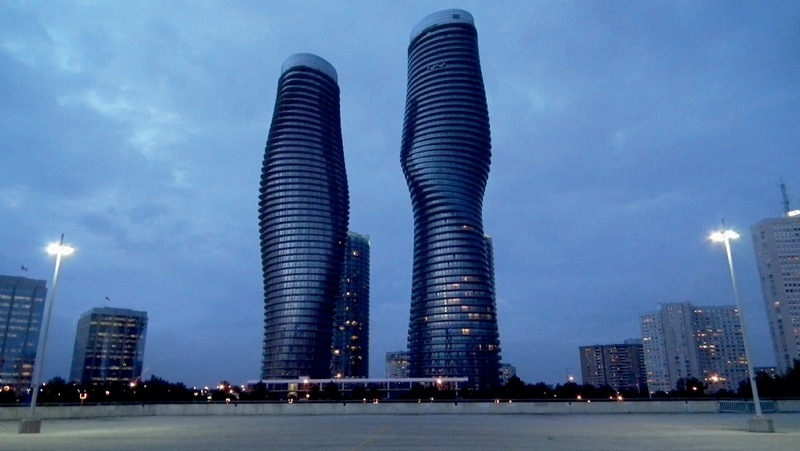 Full completion of the towers is expected at the end of this summer. “Modernism has a famous motto: A house is a machine for living in. However, as we progress further away from the machine age, we are left with a question: what message should architecture convey? What is the house of today? 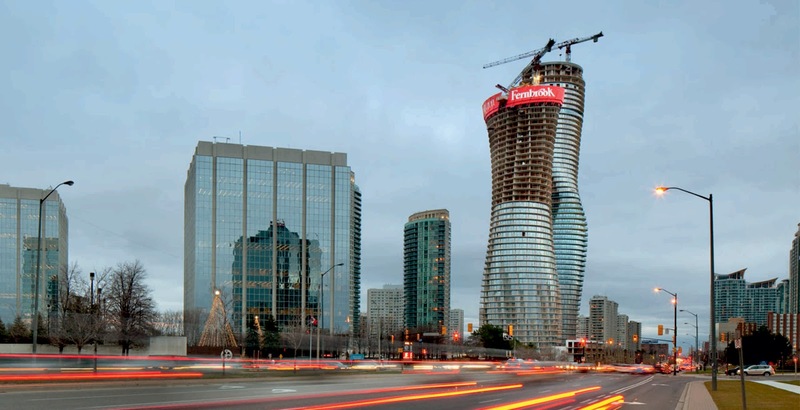 Like other fast developing suburbs in North America, Mississauga is seeking a new identity. 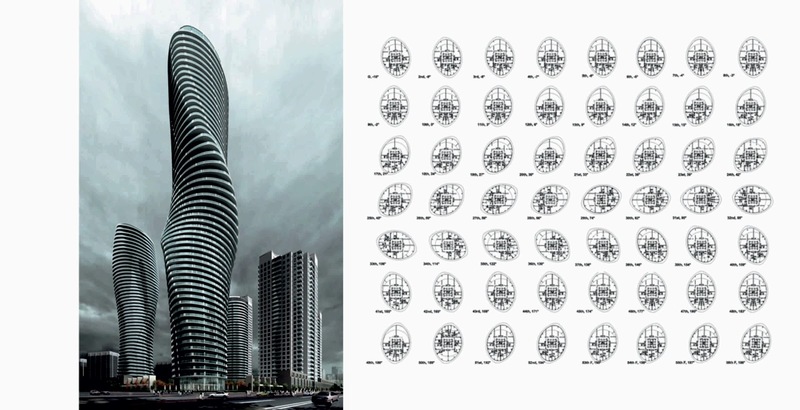 This is an opportunity to respond to the needs of an expanding city, to create a residential landmark that strives for more than simple efficiency and that provides residents an emotional connection to their hometown. In place of the simple, functional logic of modernism, our design expresses the complex and multiple needs of contemporary society. This building is more than just a functional machine: it responds to the significance of being located at the junction of two main streets, elegantly bearing its landmark status and acting as a gateway to the city beyond. It is something beautiful, sculptural and human. 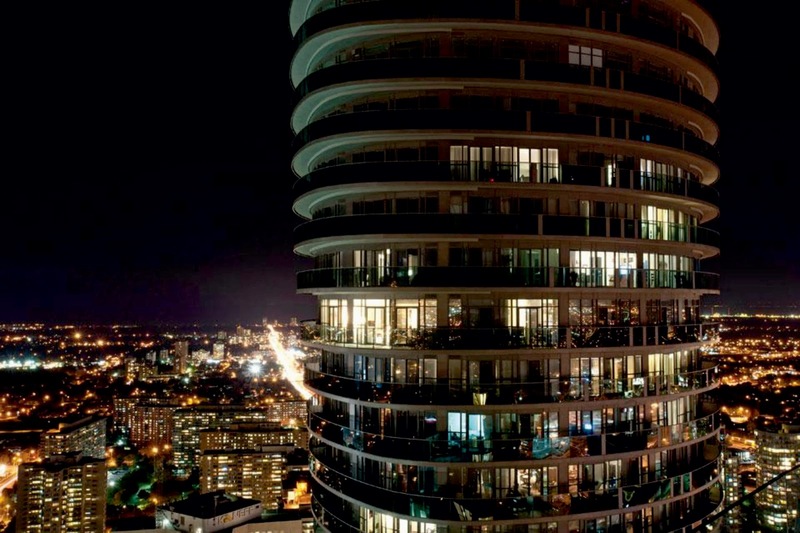 Despite its landmark status, the emphasis is not solely on height. Our design features a continuous balcony that surrounds the whole building, eliminating the vertical barriers traditionally used in high rise architecture. 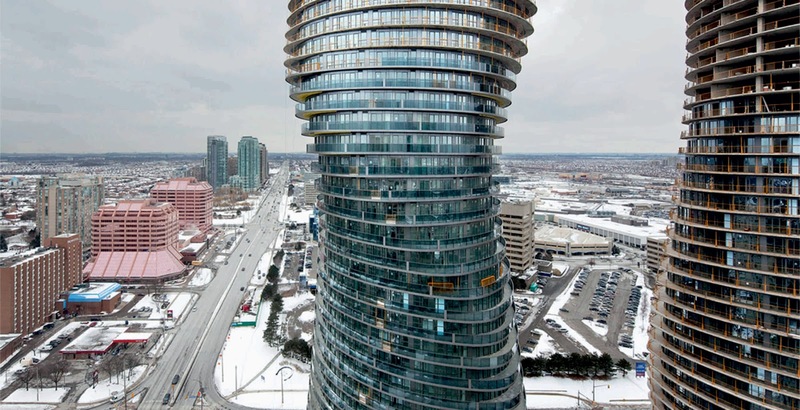 The entire building rotates by different degrees at different levels, corresponding with the surrounding scenery. Our aim is to provide 360 degree views for each residential unit, and to get city dwellers in touch with the natural elements and reawaken their appreciation of nature”. Description from architects.